Hey guys! Totally Elle has recently completed 14 years online, and it hasn’t had an actual staff in a long while. I’m currently running the site on my own, and I’d love to have some company. Basic knowledge in html/css would be great, or even just experience running a blog, but it’s not a requirement. If you’re willing to learn, I’d be happy to teach what you need to know to help me keep Elle’s first fansite up-to-date. Our site is also on Twitter and Instagram – if you’d rather help us update those instead of the site, that’d be lovely too. Elle was sighted in Studio City yesterday, and the images have been added to our gallery. Elle was photographed on her way out of the gym yesterday in Los Angeles. The images have been added to our gallery. 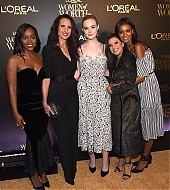 Elle attended the L’Oreal Paris Women of Worth Celebration last night in New York City! Our gallery has been updated with images from the event. According to an article published by Variety earlier today, Elle is in talks to join a movie about Patty Hearst, which is set to be directed by James Mangold – who recently directed “Logan”. James Mangold is following up “Logan” by tackling Patty Hearst, Variety has learned. The director has come on board a still untitled adaptation of Jeffrey Toobin’s best-selling “American Heiress.” The film will not share the book’s title, but it will draw on Toobin’s reporting as it delves into Hearst’s kidnapping by the Symbionese Liberation Army and re-emergence as a member of the left-wing terrorist group. 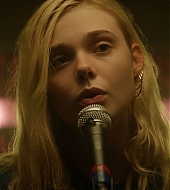 Elle Fanning is in talks to play Hearst, the Berkeley sophomore turned unlikely counter-culture revolutionary. Twentieth Century Fox is backing the project through its Fox 2000 label. The screenplay was written by Larry Karaszewski & Scott Alexander and Mangold. Mangold will produce the film along with Nina Jacobsen and Brad Simpson of Colorforce. Mangold has been attached to several other high profile projects, including an adaptation of Don Winslow’s popular novel “The Force,” as well as a big screen version of Katherine Applegate’s best-selling children’s book “Crenshaw.” However, the Patty Hearst film is expected to be his next project. 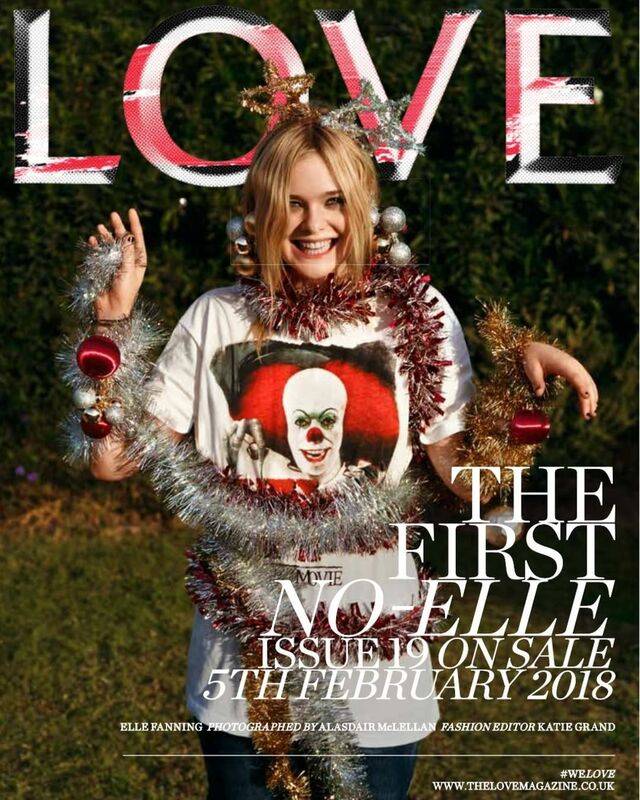 Elle is on the new cover of LOVE Magazine! This is their Holiday issue, and it features a new photoshoot by photographer Alasdair McLellan. We’ve uploaded a picture of the cover to our photo gallery.